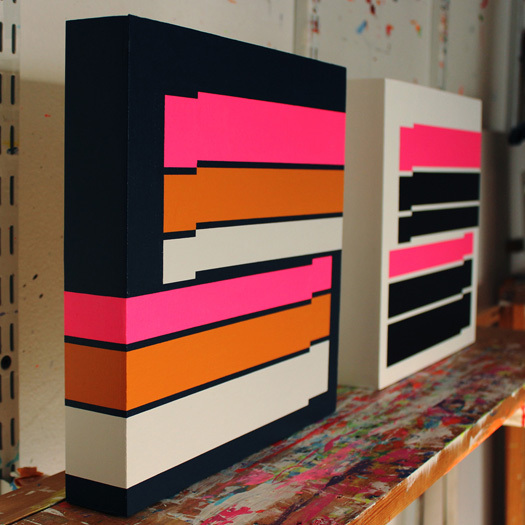 I’m pleased to introduce this new pair of studies, part of a series I’ve assigned the working title Confluent. 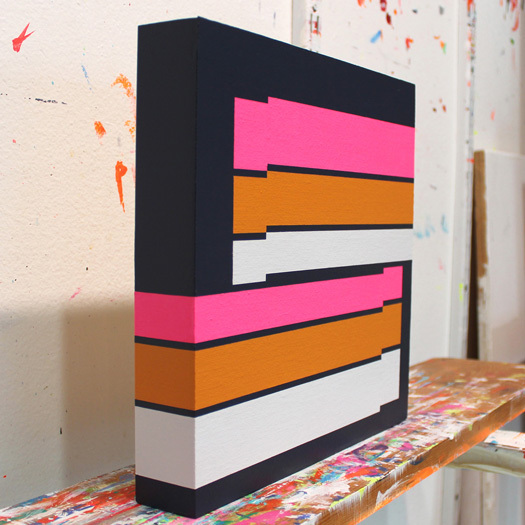 Each is painted on a cradled panel measuring 10 inches square by 1.5 inches deep (25 x 25 x 4 cm). 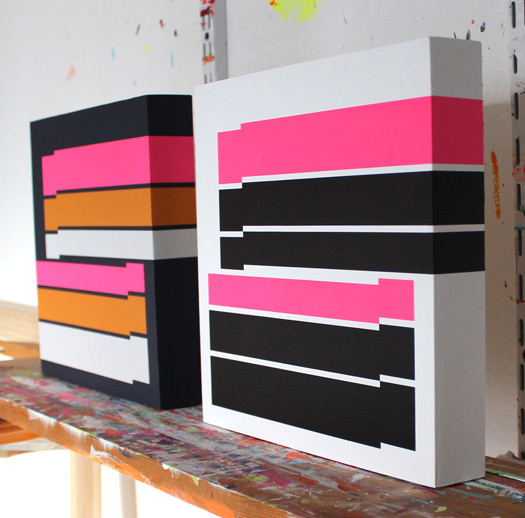 New hard-edge paintings: Confluent #1 in white, and Confluent #2 in navy-black. 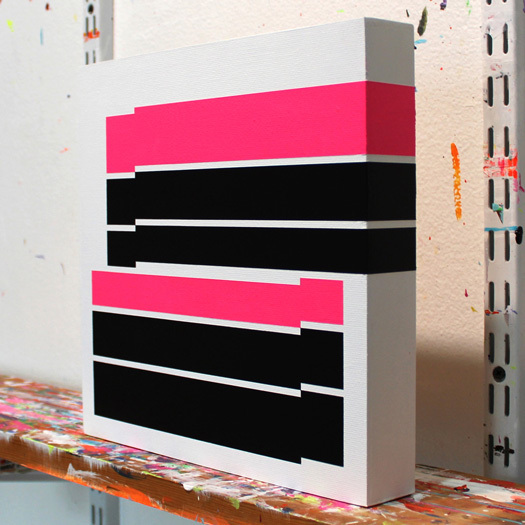 I’ve had hard-edge painting on my mind quite a bit lately, as I’ve begun to re-examine minimal painting. I’ve been thinking about how Frederick Hammersley had two different styles of painting: his hard-edge pieces and his organic “hunches.” As I have veered between minimalism and maximalism in my own work, I can appreciate how Hammersley explored these two very different, very personal approaches to painting throughout his life — one very rational and formal, another very subjective and intuitive. When one approach went stale, he returned to the other. Right now, I’m pursuing a more rational and formal approach in my work. While I’m starting from familiar ground, it seems like I’m going somewhere new. I will certainly share my newest discoveries with you soon. This entry was posted on Saturday, February 21st, 2015 at 12:00 pm. You can follow any responses to this entry through the RSS 2.0 feed. You can leave a response, or trackback from your own site.